It has been confirmed by the Premier League that they intend to use VAR from next season, provided the decision is ratified by the International Football Association Board and Fifa. 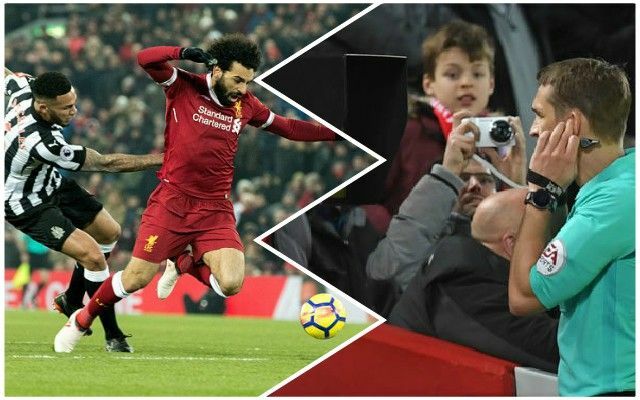 The story will come as great news for Reds fans, who have not seen any referee in the Premier League award a penalty for us at Anfield since Mo Salah missed in the 3-0 win over Huddersfield on October 28 2017. That the Reds have not been awarded a spot-kick for over a year is ridiculous – in that time, Spurs have got more penalties at Anfield than we have. With VAR, though, that could all be about to change. No more will officials be able to miss obvious decisions like Salah being fouled against Brighton on the last day of last season or against Newcastle back in March. VAR would have denied the Reds the opportunity to counter-attack against Fulham while the visitor’s goal ruled out for offside was checked, so it’s not all good news, but it will certainly benefit us more than hinder us overall. Penaltypool might be making a return!